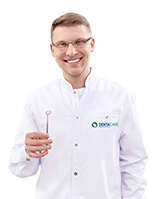 DentaCare / Advice / Modern dental fillings – and your tooth looks like new! Do you have dental cavity? Or a chipped tooth? It is no problem! The dentist will place filling, which will restore the tooth tissue. Your smile will stay white and beautiful, as always! Contemporary dentistry has many modern materials for restoring not only function of the tooth in the oral cavity, but also its aesthetic appearance, including shape and colour of lost tissues. Therefore, the filling is practically unnoticeable, and your tooth looks like new. Damaged tooth is susceptible to action of many factors – hot and cold beverages, acids and bacteria in the oral cavity. Dental cavities may cause hypersensitivity of the tooth or even an intense toothache. Placement of the filling protects the tooth and ensures its aesthetic appearance. 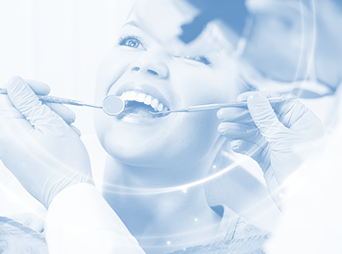 Due to application of modern technologies, the dentist is able to restore each layer of the tooth tissue. Materials used for filling have to demonstrate an excellent quality, and they should not reveal any toxic effect in the oral cavity. It should tightly seal the cavity, prevent microbe penetration and block irritating effect of food on the dental pulp. The dentist shapes the filling from the soft material. In order to make this material hard and resistant to chewing forces, the factor is necessary to initiate this transformation – it is phenomenon of photopolymerisation. Sounds complicated? In fact, it is simple procedure consisting of polymerisation. Special type of light (the most common is blue colour) causes hardening of the material placed on the tooth. 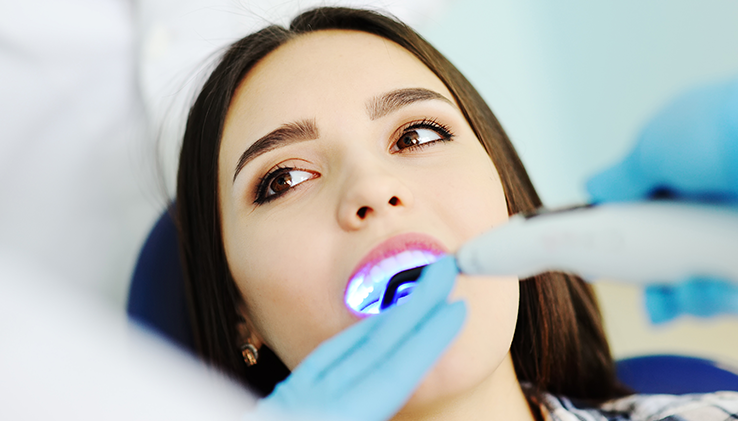 In order to make the filling strictly adhering to the tooth and tightly sealing it, the dentist has to prepare tissues of the tooth in a special manner. Nowadays, more and more perfect systems are applied, less complicated in use and equipped in abilities to prevent caries-associated bacteria. Contemporary materials are characterised by high abrasion and pressure resistance. The dentist makes sure to match their colour to colour of your tooth; therefore, your beautiful smile does not change! Do you still remember these dark and metal fillings? Fortunately, this is the past. The main component of the amalgam fillings is mercury compound and metal alloy. Durable but exceptionally unaesthetic fillings were prepared on this base. In addition, there were not healthy at all, because of the mercury content. Phew! It is good that this is behind us! The most common fillings are classified as composites and glass ionomer fillings. The first ones are composed of the light-cured resin and the filler with various densities. The second ones are less aesthetic, but more resistant to moisture. They are also less durable in terms of abrasion and pressure resistance. They release fluoride ions, so they demonstrate anticarious action. They are commonly used in deciduous and endodontic teeth. The dentist decides about type of used filling. He/she selects the best one for each individual patient. Do not ignore dental cavity! Placement of a dental filling is a short procedure. Good doctor will do it without any pain, and you will enjoy a healthy smile.